The new @TItleist @ScottyCameron Concept X putters feature wings that "seemingly melt into the ground"
It’s time to gather that loose change and head to your nearest Coinstar machine. Some of you may be wondering what the spare cash is for, but the putter lover knows that a call to consolidate couch cash can only mean that new Scotty Camerons are on the way! 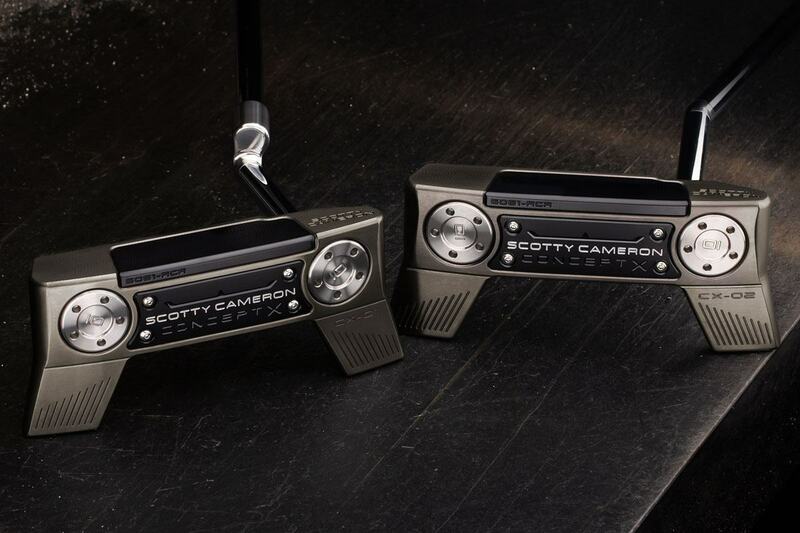 Today, Scotty Cameron unveiled his two new Concept X models, the CX-01, and CX-02. The short story on these putters is that they are blades with wings. That’s right; I said blades with wings. With the Concept X, Scotty Cameron is seeking the perfect marriage between his traditional Newport 2 blade, and a high MOI mallet. The concept is a sound and noble one. Who wouldn’t want a nice and stable putter that retains the sleek design of a blade – as sleek as a blade with wings can be anyway. Cameron isn’t the first to give this idea a shot, there have been other high MOI blade/mallet attempts in the past, I’m sure you can list a few, but to be blunt, most of those putters were so ugly that there was little real interest in gaming them. Will the Concept X putters be the first ones that truly get the blade and mallet marriage right, or will these too end up just waiting in the wings? Cameron has never lacked for hyperbole. I love that they are out in front of those who would ridicule the non-traditional design, but “melt into the ground,” seriously? Don’t get me wrong. I’m a huge fan of Scotty’s unconventional designs. His Futura X is still one of my favorite mallets, occasionally finding bag time to this day. That putter is rad, but it doesn’t melt into the ground. Apart from melting, the wings do what you’d expect they would. By using lighter materials in the center of the putter, and adding the wings, Cameron was able to increase the MOI of the putter. Conventional wisdom says that this boost in MOI will increase the stability of the putter during the swing, and that should then lead to more putts made or at least more consistent putting. If it does that, who cares if it melts? The CX-01 features a plumber-like Nuckle Neck that provides one shaft of offset and toe hang like a Newport 2. The CX-02’s “Joint neck” will provide more toe hang for those with more of an arcing stroke. DUAL-ZONE VIBRATION DAMPENING CHAMBERS: The aluminum insert not only removes weight from the body but also helps with tuning the putter for sound and vibration. INDUSTRIAL DESIGN-INSPIRED COSMETICS: The body features a new “stealth gray” finish, and the insert is anodized black. An interesting departure is the lack of finish on the tour dots. Although the dots are milled in stainless steel, I wonder if their raw nature will be prone to rust. 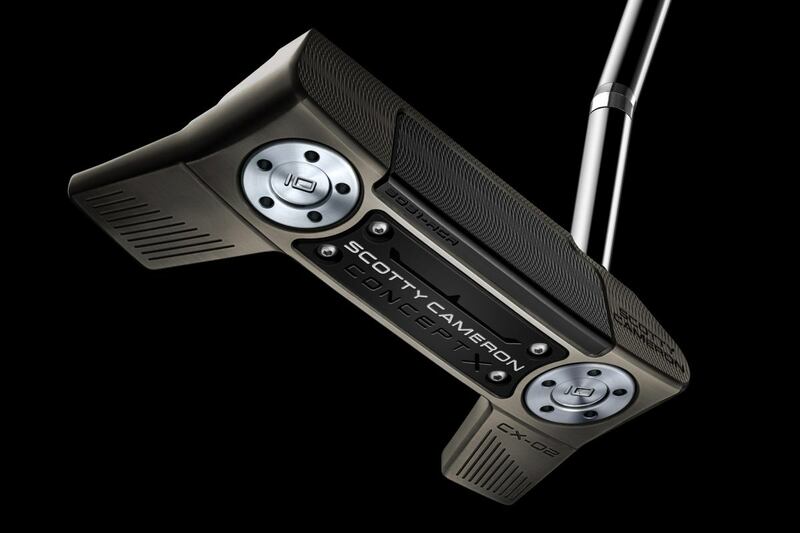 The new Scotty Cameron Concept X models will be landing in a North American golf shop near you on August 31 with a minimum advertised price of $599. And you wonder why I had you start hunting for coins. Those of you not in North America will need to wait until September 28th to try these at your local shop. The timing of this release along with the $600 price point is certainly interesting. We’ve been hearing for quite some time about a second generation Concept line from Titleist. In addition to drivers and irons, we’ve been told that the new lineup would likely include both wedges and putters. We’ve assumed that the putters would come in the form of a unique Cameron offering. The design, price, limited availability of this release, and of course, the name itself, suggests they were meant to be part of that lineup. The full Concept line will eventually come, and when it does, we suspect JP Wedges will figure prominently in the lineup as well. What are your first impressions? 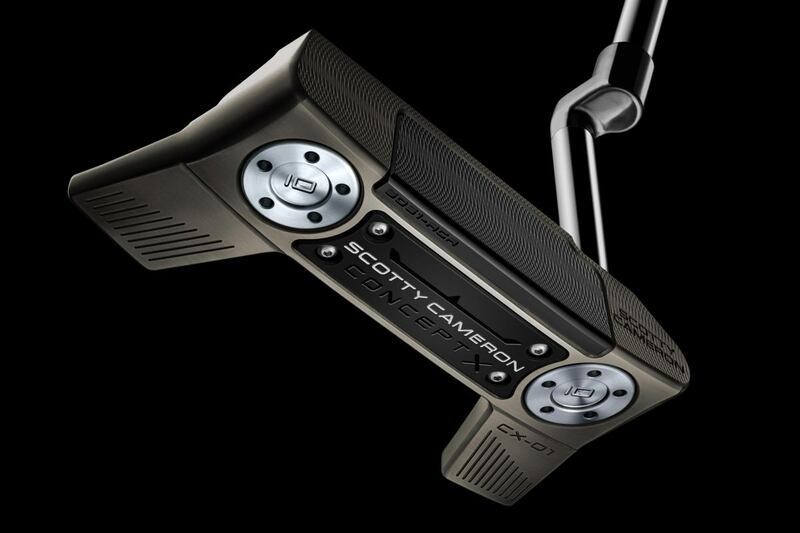 Has Scotty Cameron come up with the next big thing in putters? Will the wings really melt into the ground? More importantly, are you interested in trying one of these out? Surely everyone should calm down. The price is far too high, but it won’t be in 12 months time. I took the plunge and bought a mint condition Futura 7M on the market last year for £330 and I paid £150 in July 18. Still too expensive yet I putt really, really well with it – so I suppose it is worth the money. The point I’m making is, be patient and the price, if you love the putter, will come to you quite quickly once this next winter is out of the way. So $600? 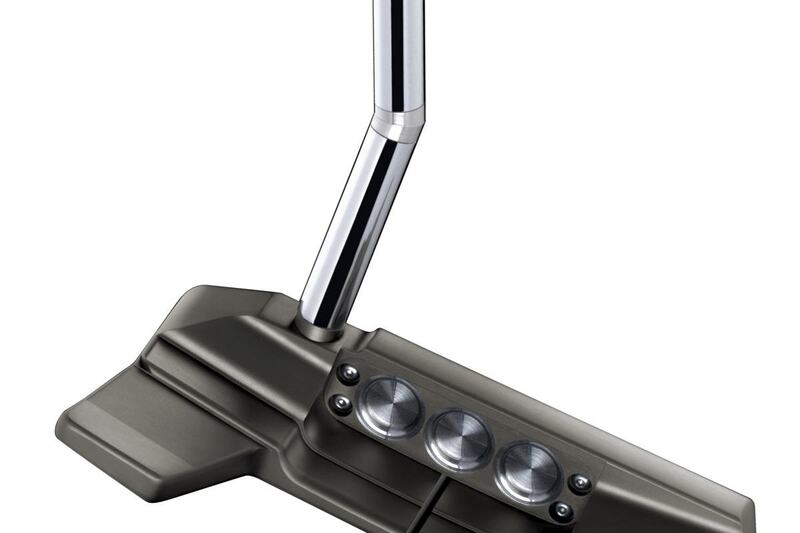 Mmnn – might just buy some workshop machinery and make some putters myself with the $600. So probably made in Asia, shaft glued in in the USA, ex-factory price, what, $75. Am I being too cynical? $ 600? I call BS. Go buy a good condition vintage Newport 2 on ebay for $ 175 and don’t look back. Are they even trying anymore? Looks like an X5 with the wings flipped and $200 added to the price tag. As long as Cameron/Titleist insist on face inserts and $400+ price tags, I’ll keep taking my business elsewhere. The original ping is the 1-A. That’s what I game and you can still buy them new to this day. Why? Because they work. Sound amazing and you don’t need a loan to buy one. I have the yips. I quit playing golf because of this malady. I can putt just as well with a used putt putt golf putter as I could with a brand new Scotty Cameron putter. While plying my trade of making golf clubs, I had the opportunity to try just about every new putter that came out from 1947 until about 5 years ago. Before I got the yips, I could putt well with any old putter that I picked up. Ben Hogan was one of the greatest Tour players that ever lived, but as the end of his career approached, he would get over a putt and basically, was unable to draw the putter back, and when he finally did, it looked like he was holding a boa constrictor in his hands. Yips cannot be overcome by any putter, regardless of price. Bernhard Langer is one of the very few Tour players who was able to overcome the yips. Try one of the putters he uses if you want to improve your putting. $600 for a putter? I bought an Evnroll ER3 this year and it is hands down the best putter I’ve owned. Evnroll had the best blade last year and this year 2017 and 2018 for a reason, they roll true. I’ve had a scotty in the past. I bought into the hype and prestige and that’s all it is. They don’t test well for a reason. I’ll take some actual innovation from Guerin Rife and Evnroll. Agree, my ER3 is never leaving my bag. The putter just works. I encourage everyone to give it a try. Kimda reminds me of “The Detour Series.” Innovative? Maybe. Ugly?…Pretty Much. Over Priced?…MOST DEFINITELY. Ridiculous!! $599 USD? That’s like $1Million up here in Canada. I’ve had many Cameron putters in my day, and they’re truly overpriced compared to PING and Odyssey. Having a Scotty in your bag is a status symbol, nothing more. I have many high end putters at home, but just for fun I decided to pull out one of my old Acushnet Bullseye putters the other day and give it a shot. What a joy! Posted a 75 with 4 birdies, and the ball just rolled beautifully off that old brass blade! It’s more in the stroke than all the advertised tech. Ray Cook has a Spider knockoff on the net for $49. Friend of mine bought one and he swears he’s never putted the ball better. So you can have your $400 to $600 putters, but they won’t fix the problem that’s between your ears. Buy the original and best – a Ping Anser. This is just an Anser with “wings” for $600. Hardly innovative and definitely not worth the asking price. I guess if you pay $400.00 to $500.00 for a putter it should make you feel confident but sooner your same habits take over. Like someone said they have not been the top performers in your club tests. They are bag candy to me. I notice that the shaft may be an assembly of a lower short shaft, an angled connector, and a long upper section with the grip. If true, there may be some interesting customizations possible with just a slightly different connector; and make it easy to switch out upper shaft sections with different grip types and/or shaft types. 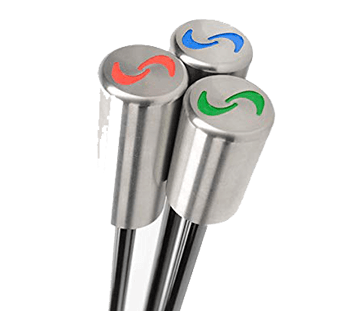 There are so many good putters on the market today from blades to mallets to tuning forks to branding iron. Trying to come up with something unique that’s both functional and esthetically pleasing requires creativity and inginuity. How cheap an idea is this of adding flat pieces of metal to the toe and heal and then passing this off as innovation. The price tag is insulting to all golfers, regardless of their economic status. $600 putters, $200 wedges, $1700 Iron sets and $500 drivers. The golf industry has jumped the shark. Time for the component manufacturers to make a splash. This is a tired argument that MGS have spent years disproving. Equipment does make a measurable difference. Old, I have a Bullseye that Art Wall gave me in the attic, leather grip and all, guess I need to pull it out since I hit the Scotty Cameron Fastback the other day and nailed every put. I am still thinking about buying it since my buddy likes to tell everyone I bought his TM Spider on his golf winnings. I also have a Ping Anser that Gay Brewer gave me when we used to play in S Florida, who knows, might be the putter he won the Master with. Anyway, I cannot put very well with it. here here taking the piss – get sabertooth! I do love the concepts they are bringing to the forefront, but like many others, price is difficult to swallow. Still using Newport 2.5 circa 2002. Had 26 putts last week with no intention of moving to new technology since the cost trade off isn’t worth it. Unfortunately, the guys who can afford these, tour pro’s, get them for free. Keep up the great work MGS. Weight? Where does it stack up between the traditional blade and mallet? The trouble with his line, new or old, is the price point for his putters which are ridiculous to begin with. I was dumb enough to purchase one for $475 a couple of years ago thinking since it was a Scotty the resale or trade in would pretty good. WRONG! $90 was the most I could get and that was a year ago. So there it sits in the garage, as there is no way I’m going to lose almost $400. My advice, buy Odyssey, the #1 putter by far.. Looking at the shaft, it appears that it is a two-piece shaft, with junction piece that might allow interesting adjustments in lie angle, an easier switchout to a different length upper section, and maybe other things. You’re absolutely right, SAVEVA! Frustrates me too.. I totally agree. I wish I had one in hand to shoot exactly that photo. 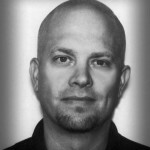 No real innovation here–Scotty just doing things to keep up with the competition and establish a regular release cycle. Last year the wings curved inward, now they curve out. Big deal! Will stick with my decades old Newport Beach–the best Cameron ever made. Do I want to try one? Sure. Am I going to buy one? NO! I’m sure they are fantastic putters, but there are limited gains at some point. Most of us just aren’t that good to justify it, and even if we are, I suspect that the tech is only marginally helpful at that point. 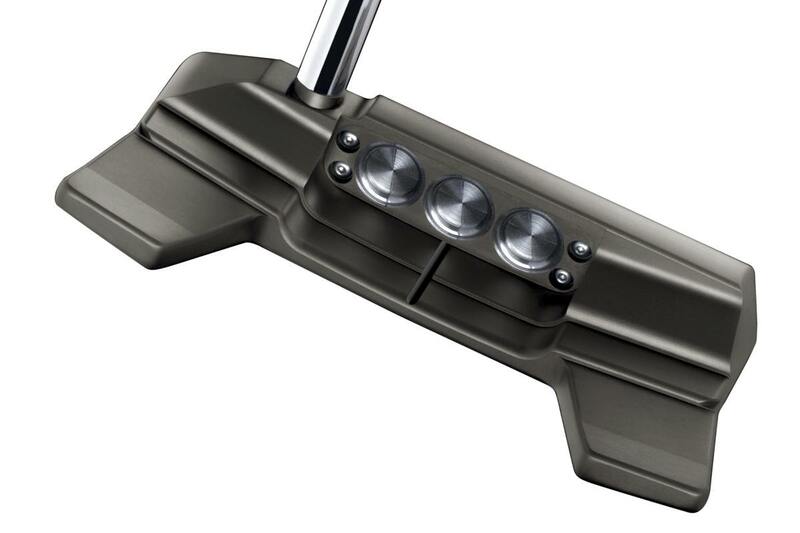 Seems to me that after about $400, it’s hard to justify how much more any putter’s design is helping. MyGolfSpy did a test a while back and a Scotty knock-off tested just as well as the real deal … and from what I remember Scotty putters rarely top the putter tests, so there’s little to no playable gains in actually owning one. Sure if you like them knock yourself out, they look great, but you’re buying a name and how many PGA Tour players play off-the-rack Camerons? they’re mostly customs out there and they’re the clubs collectors are after. Granted more and more OEMs are making tour customs, but think a few years back to the PING and Odyssey putters in play, they were more or less the same as the ones we use. THIS, I can get behind… not the Vodka/Red Ball… Irrefutably, Scotty Cameron makes great putters and their innovations make sense. Innovation in quality instead of something made in the Q-Lab. Just wish Scotty’s clubs weren’t so dang expensive! Clear putter! I want to try one…. With tax and a superstroke flatso I spent over $400 on my newport 2.5 and it has been well worth the money. My putting confidence and consistency has never been better. I would LOVE to try one of these, but I’ll never get rid of my 2.5 so it would be a full $600+. Not a chance. These are not very attractive putters. I love my Cameron M2 but yikes at these! This just has expensive price tag all over it. This is more for the collector and not the performance need. The putter is the most important tool in your bag, but not $600 important.